Paul Lewis is a pianist who is internationally regarded as one of the leading musicians of his generation. He starts this program with Haydn’s Piano Sonata in E Minor Hob XVI: 34, followed by Three Intermezzi op. 117 by Johannes Brahms. After the intermission he performs Beethoven’s 33 Variations in C on a Waltz by Diabelli op. 120. 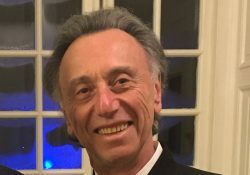 Paul Lewis is presented by the Williams College Department of Music with the generous support of the W. Ford Schumann ’50 Performing Arts Endowment. This performance with Paul Lewis is the first public presentation of a new concert grand piano, an instrument Mr. Lewis selected to match the acoustics and grand surroundings of Chapin Hall. The Steinway concert grand piano is a gift from the McDermott Family, made in memory of John H. McDermott ’53. 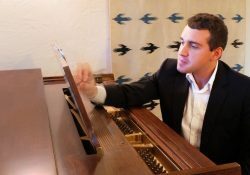 The piano was chosen last year at the Steinway factory by a committee of Williams music faculty, advised by Mr. Lewis, who demonstrated the various instruments under consideration. 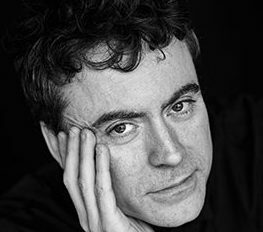 Paul Lewis has received unanimous critical and public acclaim worldwide for his cycles of core piano works by Beethoven and Schubert, and he has consolidated his reputation as one of the world’s foremost interpreters of the central European classical repertoire. His numerous awards have included the Royal Philharmonic Society’s Instrumentalist of the Year, two Edison awards, three Gramophone awards, the Diapason D’or de l’Annee, the Preis Der Deutschen Schallplattenkritik, the Premio Internazionale Accademia Musicale Chigiana, and the South Bank Show Classical Music award. He holds honorary degrees from Liverpool, Edge Hill, and Southampton Universities, and was appointed Commander of the Order of the British Empire (CBE) in the 2016 Queen’s Birthday Honours. Highlights from the 2016/17 season included Beethoven concerto cycles with Melbourne Symphony Orchestra, the São Paulo State Symphony Orchestra, and the Royal Flemish Philharmonic Orchestra, appearances with the Orchestre de Paris and Daniel Harding, the Philharmonia with Andris Nelsons, the Chicago Symphony with Manfred Honeck, and the Bavarian Radio Symphony Orchestra with Bernard Haitink. 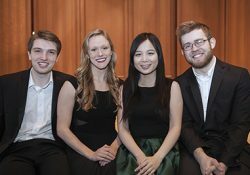 The 2017/18 season sees the start of a two year recital series, exploring connections between the sonatas of Haydn, the late piano works of Brahms, and Beethoven’s bagatelles and Diabelli Variations, as well as appearances with the WDR Sinfonieorchester, Orchestra Mozart di Bologna, Boston Symphony, San Francisco Symphony, and Montreal Symphony Orchestras. Paul Lewis studied with Joan Havill at the Guildhall School of Music and Drama in London before going on to study privately with Alfred Brendel. He is co-Artistic Director of Midsummer Music, an annual chamber music festival held in Buckinghamshire, UK, and the Leeds International Piano Competition.